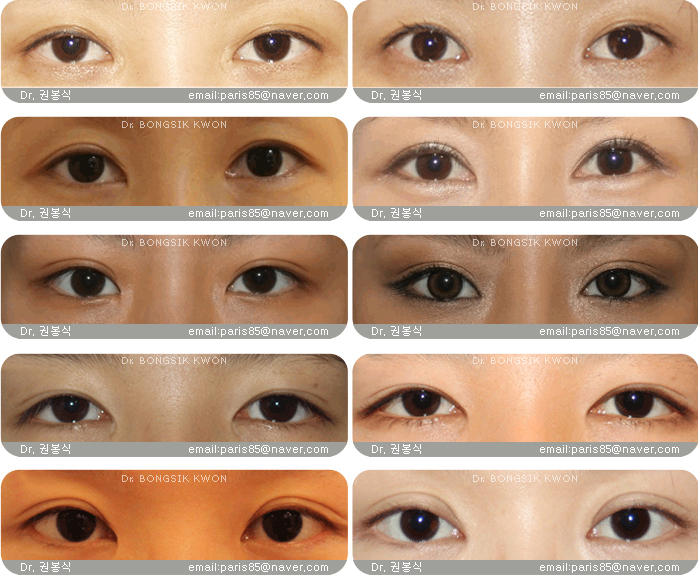 There were various methods in epicanthoplasty. Two most popular and well-performing procedures are called Uchida and Park’s methods. They have some advantages, but also have disadvantages as well in aspects of scar and effectiveness. Unlike other existing epicanthoplasties, the Magic epicanthoplasty is completely different and so it can restore a scar that was previously made and improve remained epicanthal fold. However, the amount or the degree of scar removal is significantly influenced by the location, size, amount of movable skin around and so on. Therefore, it can show some differences among individuals. Sometimes, the condition of skin with scar is not as good as that of the normal or primary. That is why the revisional surgery is quite difficult and must be very cautiously planned and performed via thorough examination and consultation. Examples) Formation of a scar caused by Uchida method. Revision by the Magic epicanthoplasty. Examples) Formation of a scar caused by Park's method. Revision by the Magic epicanthoplasty. Examples) Revisional surgery with the Magic epicanthoplasty. You can see the easing of a scar in the corner of the eyes and the removal of remained epicanthal folds while maintaining the out-folder lines. Examples) Revisional surgery with the Magic epicanthoplasty. 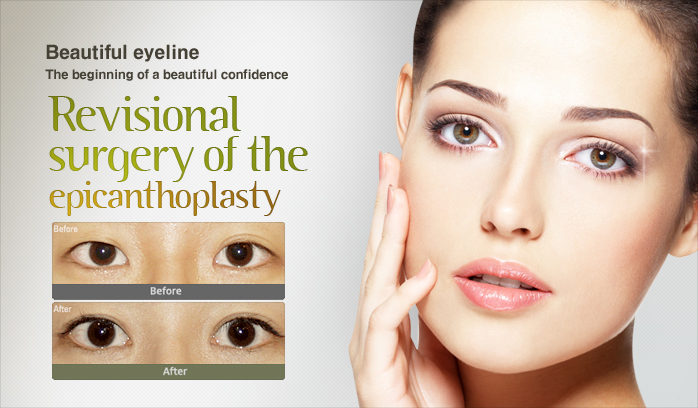 Removal of remaining scar bands and further demanded opening of inner corner were performed. As shown above, the scars caused by epicanthoplasy left people with indelible devastations in their minds as well as on skins. Those scars can hardly be covered by make-ups, rendering patients to be sociophobic and depressed in their lives. But, through the technique of Magic epicanthoplasty and minimally invasive pericilliary incision, all patients suffering from those scars can have their hopes again.